..".pithy, invaluable guidance to women stymied in the workplace" - O, The Oprah Magazine We are in the midst of a wild job market. Technology has disrupted nearly every industry, blowing up many careers, but creating millions more. Many women feel forced to pivot to stay relevant, while others choose to pivot to keep engaged. Or we may be struggling to get back into the workforce after taking time off to raise kids. We hear words like hustle and grit and are told we need to think strategically, cultivate our own brands, and sell ourselves. But how do we do that? How do we pivot or radically relaunch our careers? How do we become unapologetically bold and badass-the boss of our own future? Getting ahead today requires the action-first, fake-it-'til-you-make-it ethos celebrated in the tech world. It's the tech industry that's redefined our culture, and perhaps not surprisingly, it's those Silicon Valley lessons that can help all women in all stages of their careers succeed. This mindset is not typically a female one. Women tend to be cautious. We overthink our next moves. We might be safer . . . but we're also stuck. What if women embraced the startup spirit? What if we had the confidence to take chances, even if we knew we may fail first? What if instead of agonizing over which step to take, we leapt forward quickly? Fearless and Free empowers women, showing us how to lean into our strengths, increase our confidence, and follow successful lessons from Silicon Valley that can help us pivot in any career-and unlock a world of possibilities. 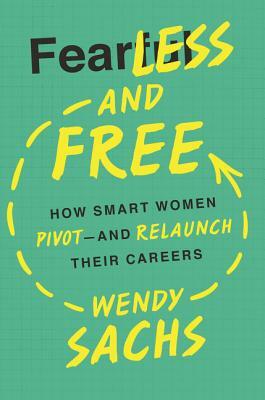 Author Wendy Sachs talked to a wide range of women who faced down fears, roadblocks, and failures to reinvent themselves. The book weaves their insights and experiences together with current research and actionable advice. You'll learn how to: Capitalize on your skills and expand them * Grow comfortable with being uncomfortable * Boost your confidence * Sell your story * Engineer serendipity * Nurture your network * Shake off setbacks * Brand yourself-without bragging * Build momentum * Compete with digital natives * Reposition yourself if you're reentering the workforce * And more Whether you want out of a shrinking industry or into a business of your own creation, Fearless and Free helps you dream big-and act now. Wendy Sachs is a master of the career pivot. An Emmy-award winning TV news producer, Wendy has worked at Dateline NBC, Fox, and CNN. She was also a Capitol Hill press secretary, public relations executive, media and content strategist, CNN contributor, and editor-in-chief of Care.com. A frequent speaker, she has also written about work/life and women's issues for multiple publications, and appeared on dozens of radio and TV shows, including Good Morning America, Today, and CNN's Headline News. Wendy lives with her husband and two children in South Orange, New Jersey.